The initial few hundred bucks we ever scrapped together from our personal bank accounts, Ben and I put towards screenprinting our first t-shirts. 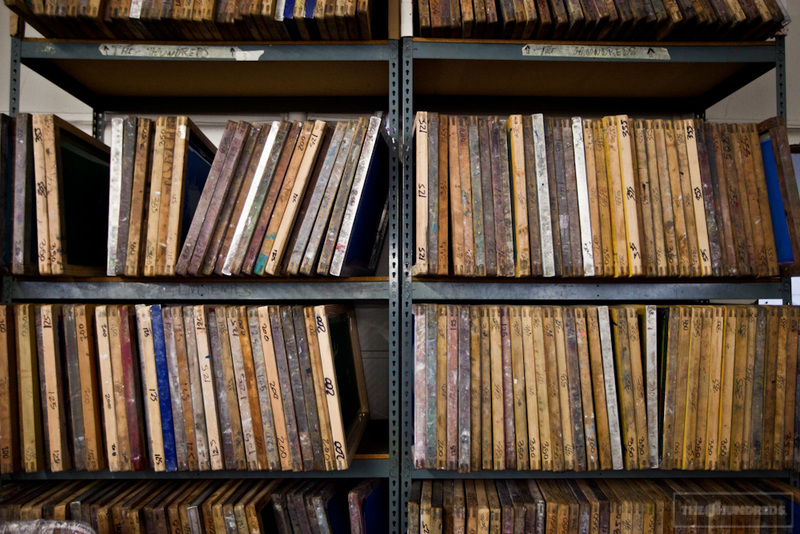 We asked an acquaintance of ours to help us out; he had a small 2-color press in his backyard, so we dropped off a CD of art files and a boxful of blanks. It was 2003 and we were off to a bright future in apparel. Or so we thought. Weeks went by. Then months. Nothing. Excuses turned into straight-to-voicemail, turned into frustration. We had lost almost an entire summer waiting for our tees, our first accounts had been promised deliveries that were weeks late, and our precious blanks were held hostage in some woodshed in the Valley. “Then how do you explain this?,” Ben asked, as he reached down and handed our friend a completely blank t-shirt. No print anywhere. And that was that. 15 minutes later we were sitting in the car, doors flung open, staring at the roof with the sun glinting in our eyes. 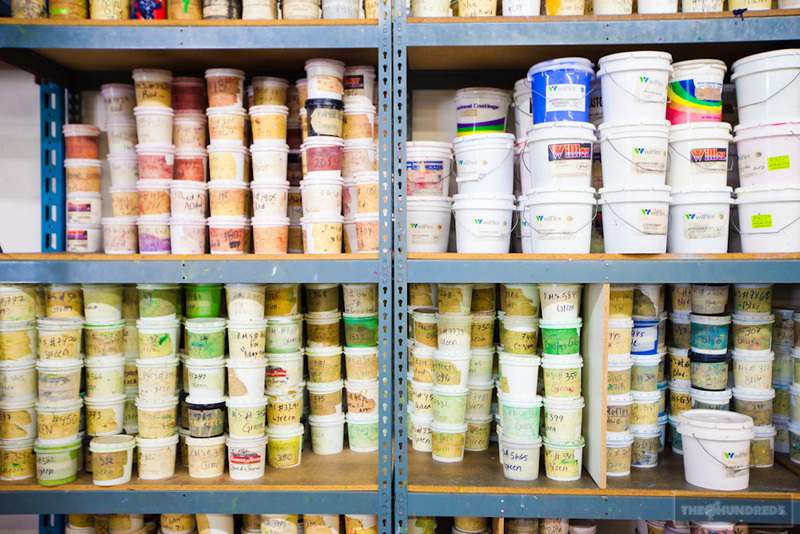 “Our company’s over before we even started,” we wailed in self-pity. 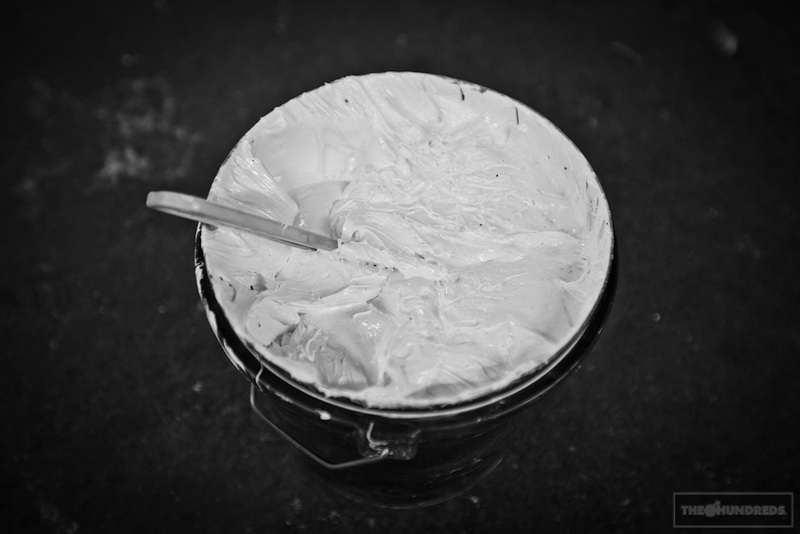 That was everything, all our cash that had gone into the blanks — right down the drain with the ink washed from the screens. We pulled ourselves together and somehow managed to peddle off a fraction of the t-shirts that were somewhat presentable. With that money, we faced our next dilemma. 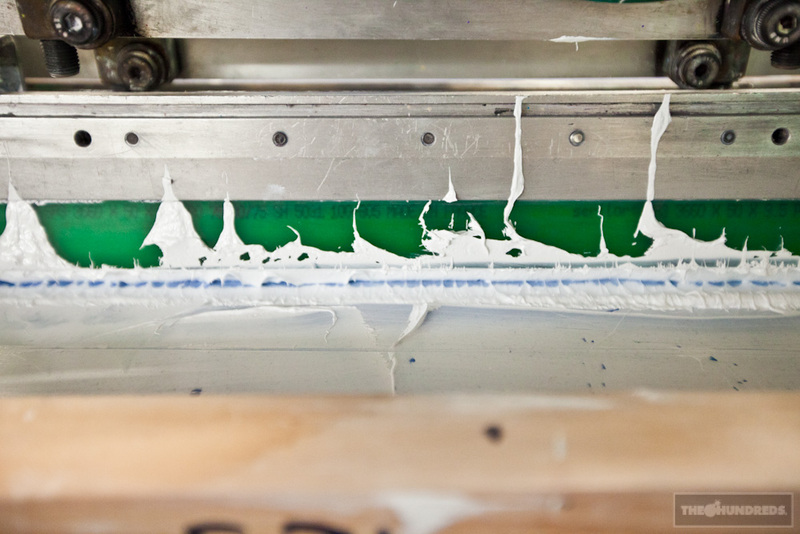 Time to find a new silkscreen printshop. A friend of Ben’s referred us to a shop she had once used for a project, also deep in the Valley, in fact not too far from the Screenprinting Shop of Horrors that crushed our dreams just a month prior. We walked into that office on a blind whim with a photocopied linesheet of our next season of offerings. We thought we were sitting on Streetwear gold, but the guys who ran this shop could barely suppress their snickers looking at these misguided 23-year-olds with big dreams and shallow pockets. 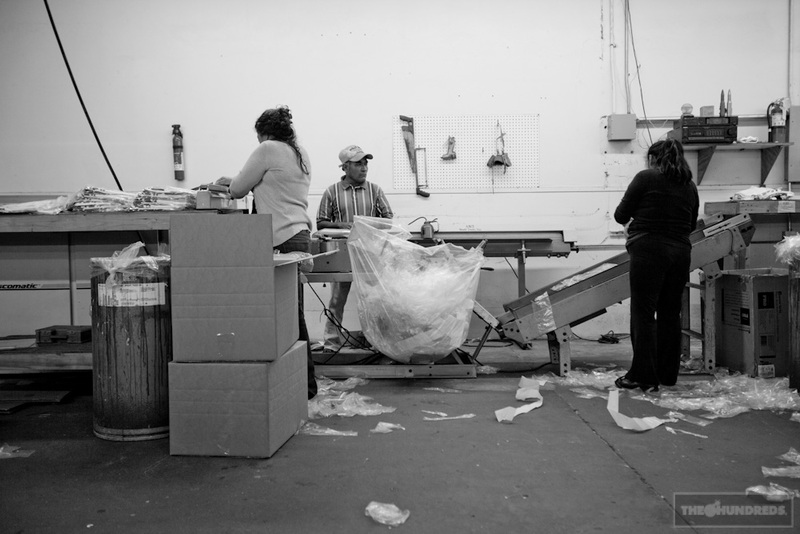 “How many t-shirts are you guys trying to produce?” they entertained us, as the stale cigarette smoke hung in the air. The sticky carpeted floors caked in soot and old paint, the abused pool table re-appropriated into a makeshift worktable, and the counter actually an old bar top, the “office” was built-out to mimic a dingy watering hole. “I dunno,” we responded, “maybe like a hundred shirts?” That was about all we could afford to print, and furthermore, about as much as we thought we could sell. But we weren’t going anywhere. I mean, what did we have to lose? Remember, our company had failed before it had even gotten off the ground. We had nothing to our name except a few t-shirt sales sprinkled around Los Angeles, mainly to friends of ours anyways. So we fought for it. We negotiated a deal that the screenprinters couldn’t refuse (In the end, I think they caved because they either felt sorry for us or wanted to get us out of the way of the baseball game). So when we were back at that bartop a month later with a re-order, they were amused. And when we were back again after a few weeks with a brand new catalog of fresh designs, they groaned, but capitulated. Hell, why not? It was the slow season. So it went, for months, then years, bickering back and forth about measly sample runs and odd-placement hits, 4-color pocket prints and reds that weren’t quite the right red.. until one day our screenprinters called us and requested a meeting. As they sat in our conference room, the first time we had seen some of them outside that french-fry-laden bar, they cut to the chase. It simply did not make sense for us to pay the middleman anymore. 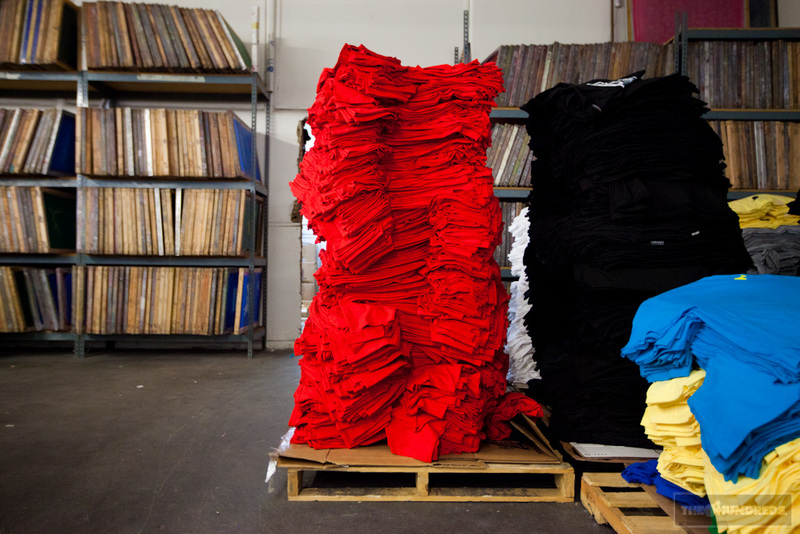 The print shop had gone from tolerating The Hundreds’ trivial jobs to dedicating the vast majority of their business to our odd-placement t-shirts with red prints on colorful pockets. From a financial perspective, it made way more dollars and sense to take all the machines, screens, ink, and labor and just do the printing ourselves. “Buy us out,” they flatly suggested. 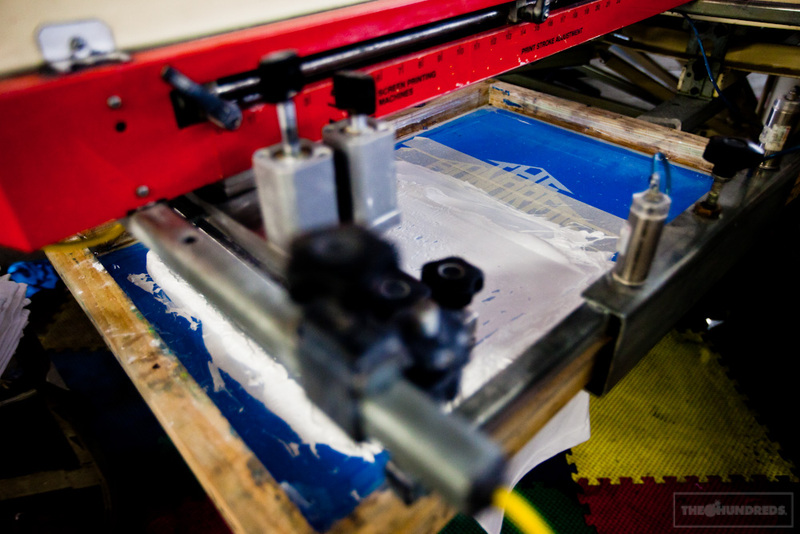 It didn’t take much convincing once we considered the quality control benefits, the ability to monitor our work more closely, run extremely limited numbers of t-shirts without having to meet minimums, and best of all, always being on time. And so we did. We bought the print shop. 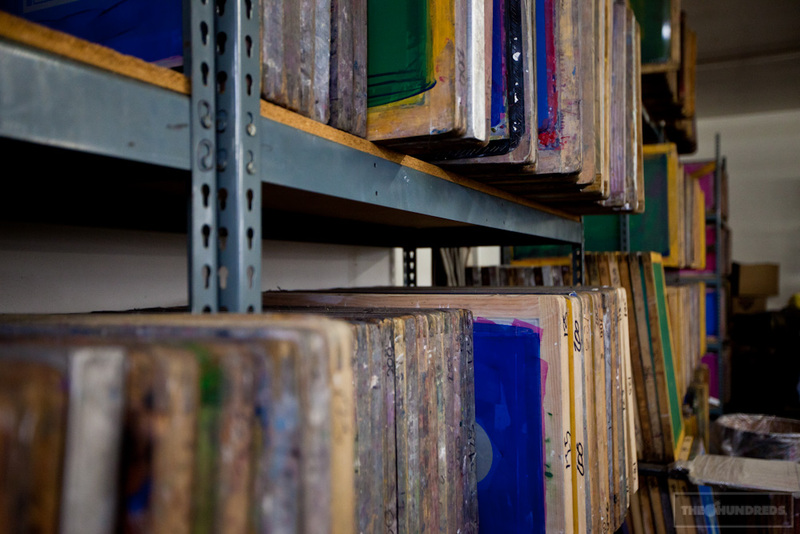 The Hundreds has owned and operated its own screenprinting shop for years now. Aside from ourselves, we actually do a number of private jobs for friends’ labels (yes, competitors) within our industry, although you’d never guess who. 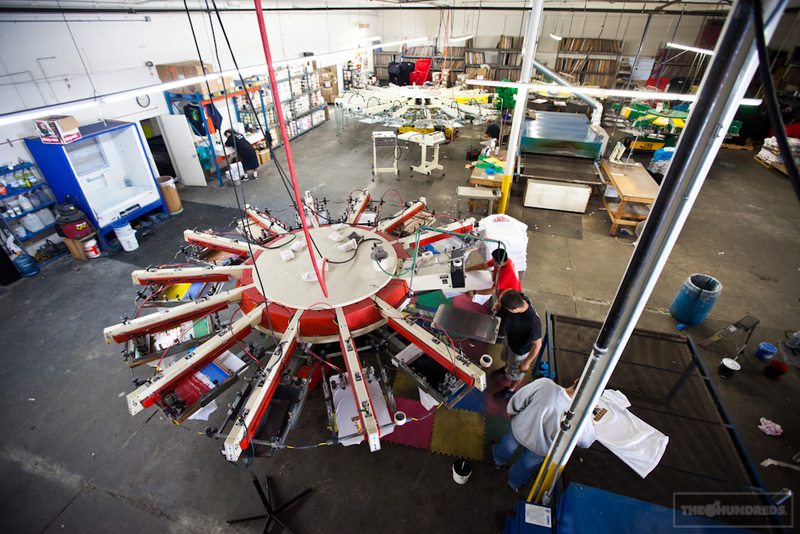 Equipped with a 16-color press, a 12-color, a couple of 10s, and sample stations, it’s like Willy Wonka’s factory but for t-shirt creations. We’ve always prided ourselves on having the best concepts and artwork, but the key ingredient to our graphic tees is the printing. 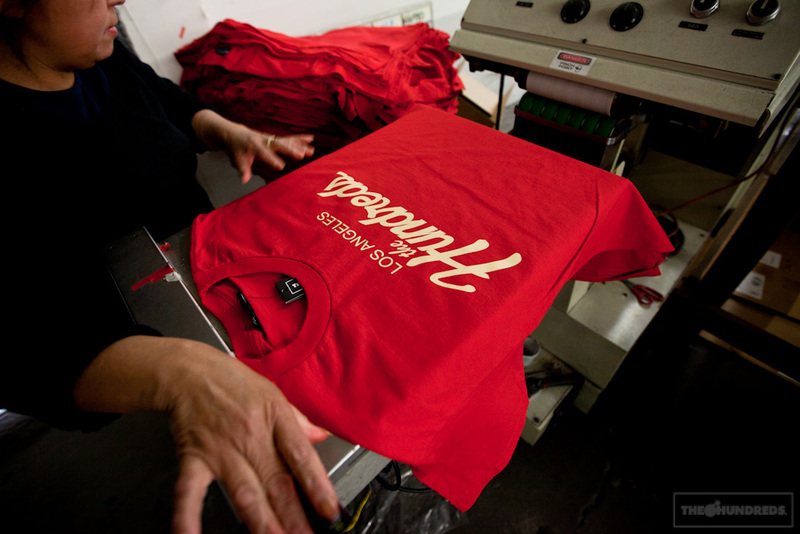 Every t-shirt of ours comes with a story. That’s how we’ve built The Hundreds since day one. 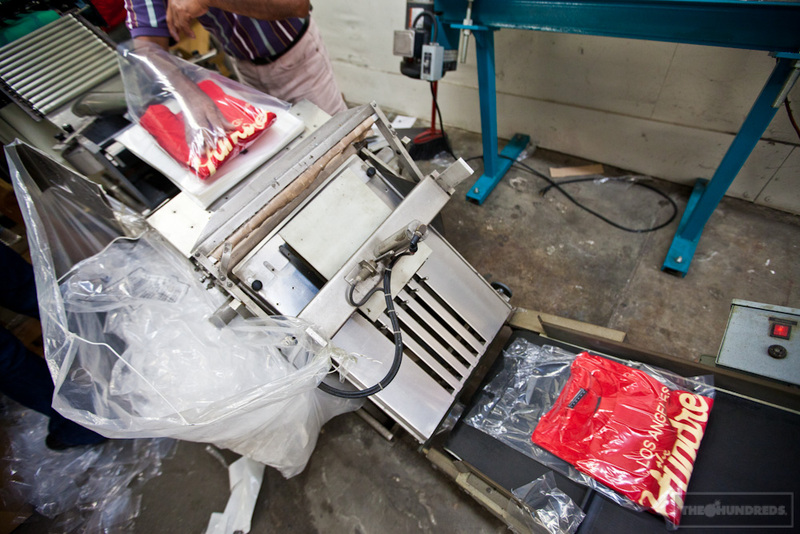 But this is the story where our t-shirts come from.